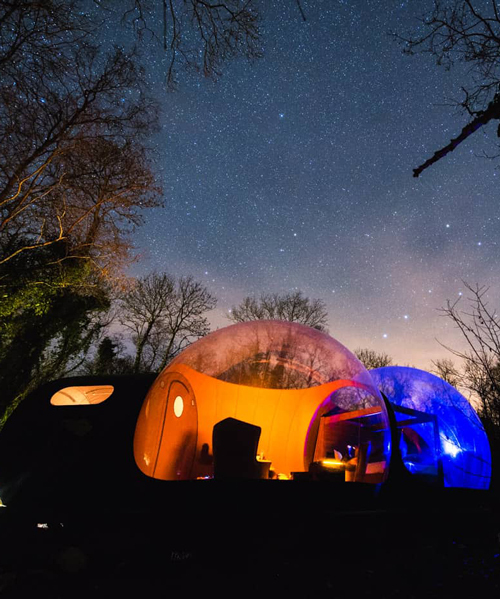 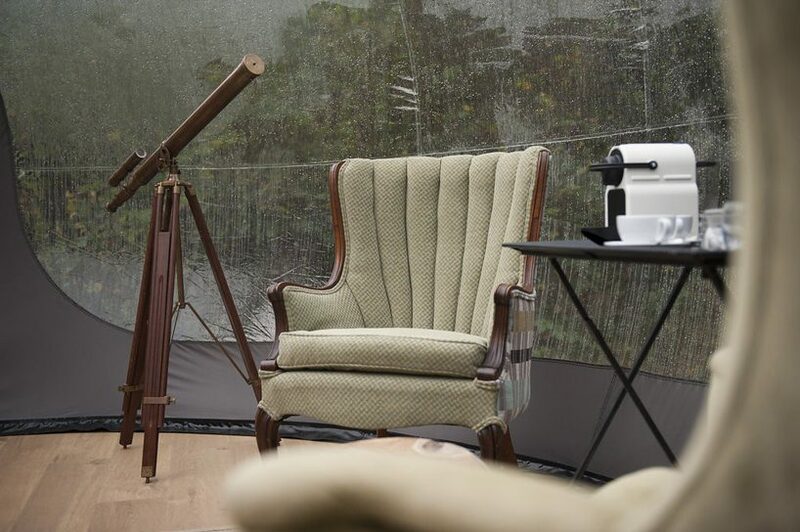 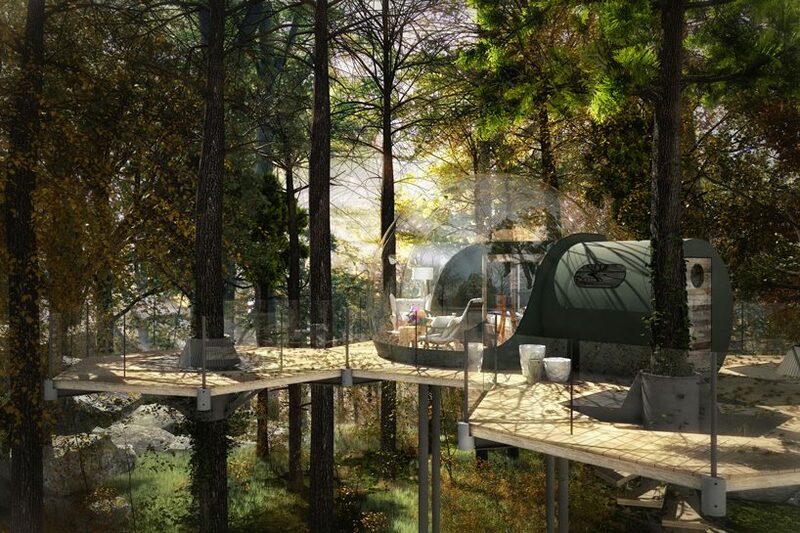 combining the back-to-nature perks of camping with the hospitality of a luxurious hotel, these bubble domes offer guests a chance to sleep under the stars in the comfort of underfloor heating and bespoke furniture. 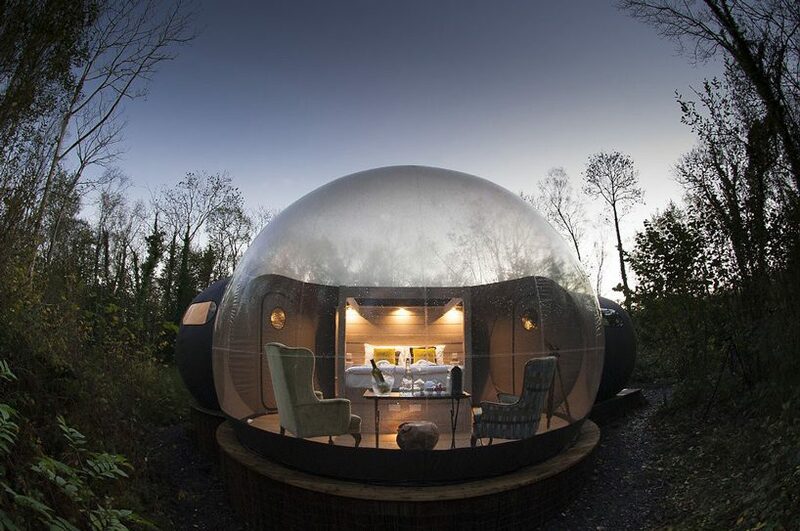 designed and built by dome experience, the first installment of the bubble domes took place in the finn lough resort, in enniskillen, ireland. 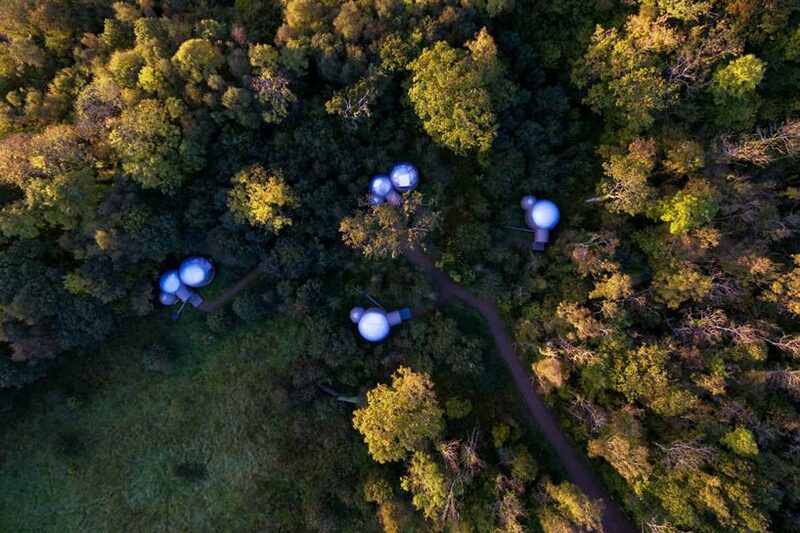 seven bubble domes kept inflated with an air pressure system are spread around the woodland resort with enough distance from each other to ensure privacy. 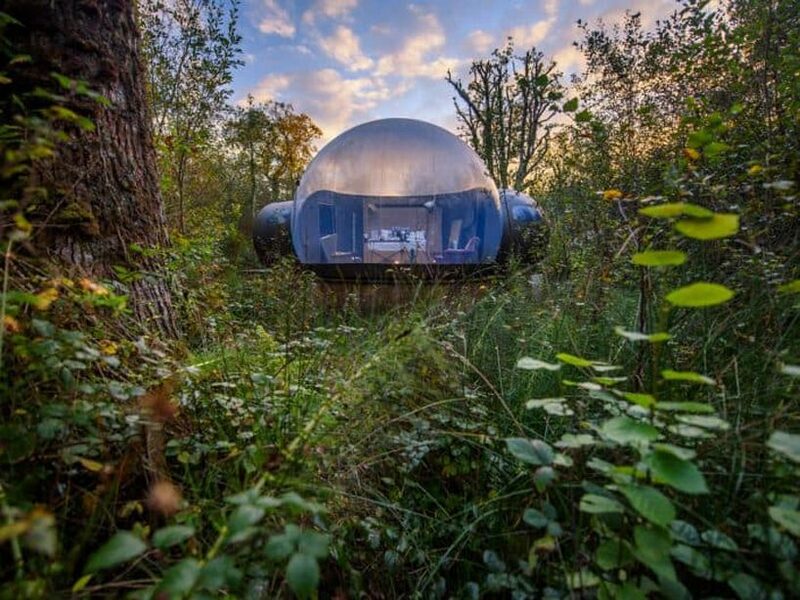 designed by dome experience with a purpose of immersing visitors into nature, the futuristic-looking domes offer no tv or wifi, but compensate with 180-degree views of the forest and night sky. 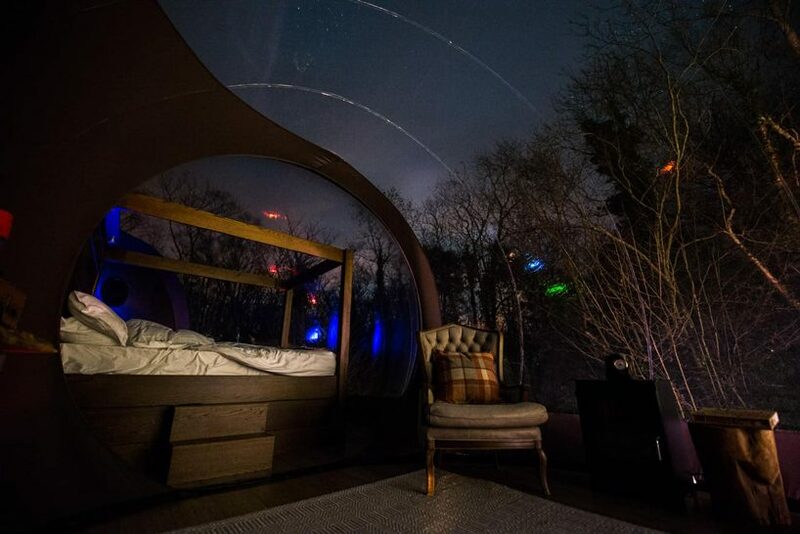 each bubble can sleep two guests on a four-poster bed with a heated mattress, while other amenities include aroca wood furniture, nespresso coffee machines and free-standing bathtubs and rain showers on a small, additional bubble housing the bathroom. 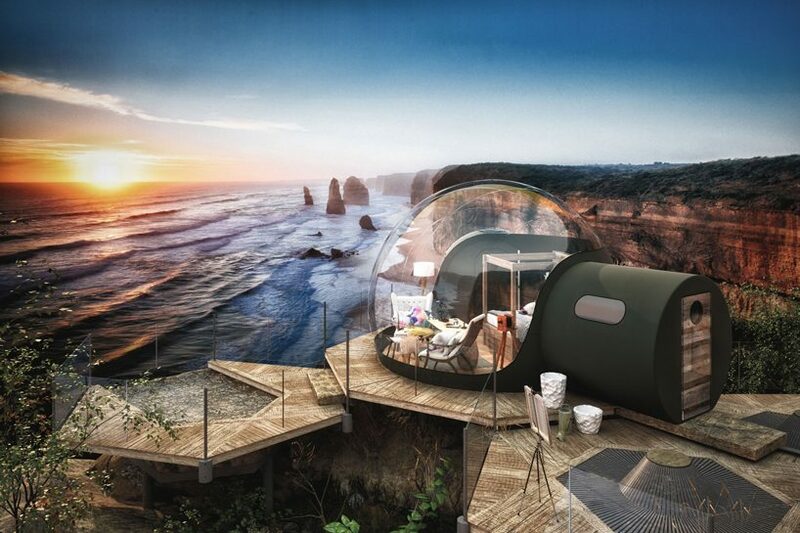 working with a number of smart home specialists, dome experience ensures that guests can have complete control of the bubble’s temperature, pressure, humidity and electricity, making the indoor experience enjoyable whether its starry skies or thunderstorms outside. 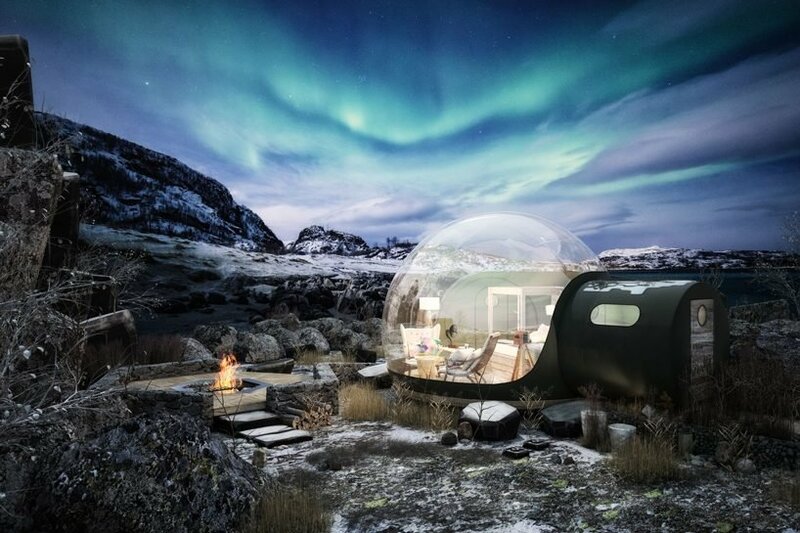 the structure can be installed within 4-6 weeks in any location with utility supplies while their modular design allows for easy repairs without the need of deconstruction.